Vivek Joshi is a pranic healer and management consultant. He was born in India and grew up and lives in Amsterdam, the Netherlands. He started his first business in 1992. In the years to come he moved from IT to management consulting and project finance. In 2002 Vivek started teaching Pranic Healing and in 2006 he was appointed by Grand Master Choa Kok Sui as a direct licensee for the Netherlands and Belgium. From 2010 onwards he was invited also to other countries like Finland, Suriname, the Dutch Caribbean, Spain, Portugal and Colombia. 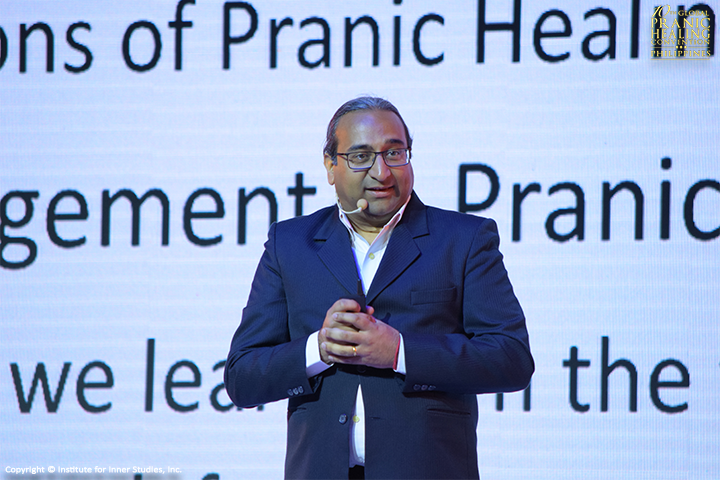 Vivek has been applying his management skills in Pranic Healing on one hand and using Pranic Healing to help organizations on the other hand. He is grateful for the opportunities offered to serve in the work of GMCKS and honoured to be presenting during the World Pranic Healing Convention. During the talk he will present how to use Pranic Healing techniques to manage organizations and how we can use management techniques for spreading the teachings. His intention is to make it an inspiring, useful and fun session. For his presentation, Vivek Joshi shared the ‘Managing with Pranic Healing‘.